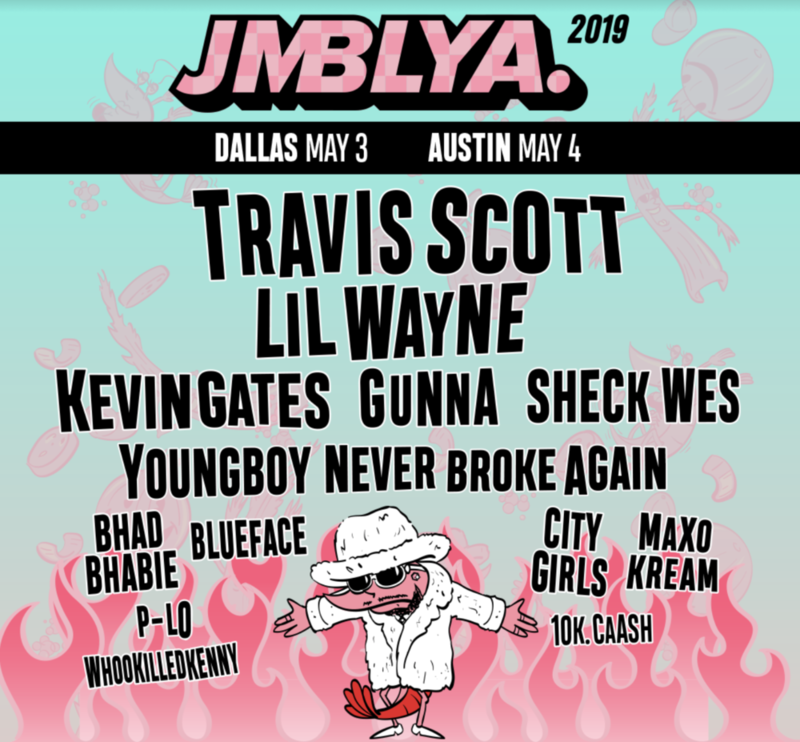 JMBLYA Dallas 2019 will be held on May 3 near Fair Park this year, featuring acts including Travis Scott, Lil Wayne, Shek Wes, Kevin Gates, Gunna and more! Tickets are on sale March 1st. For the full lineup, go to http://jmblya.com/lineup/.